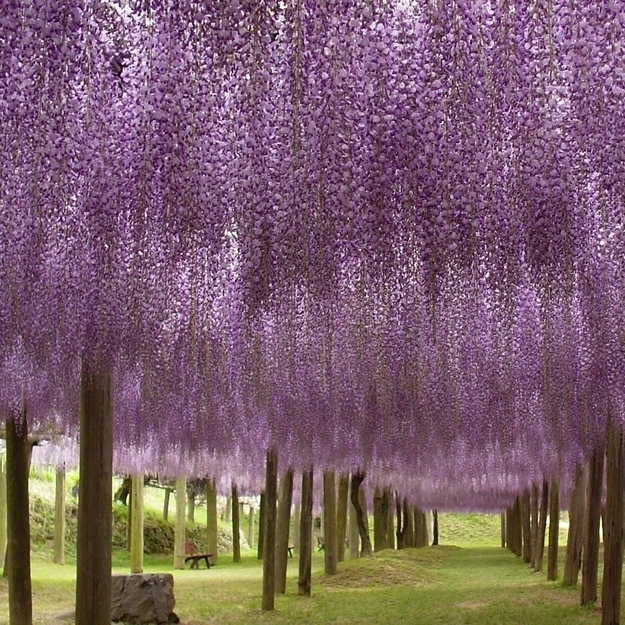 Today we are headed to the breathtaking, wisteria filled land of the Kawachi Fuji Garden in Kitakyushi, Japan. 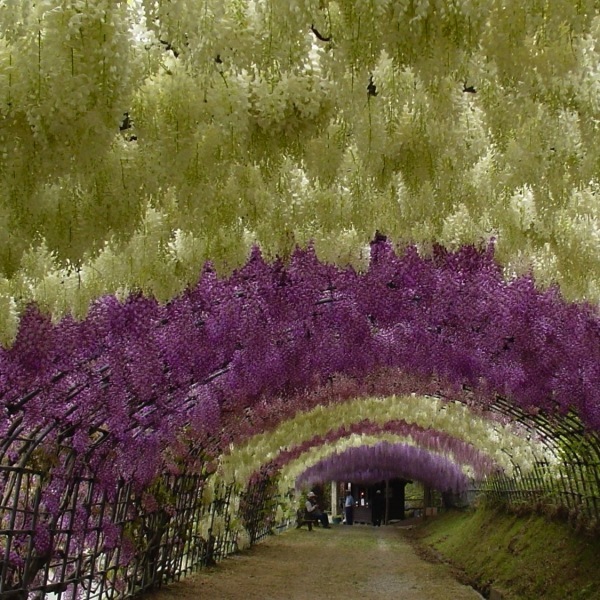 We’ll traverse through flower filled tunnels and get drunk on the blooms’ sweet scents. 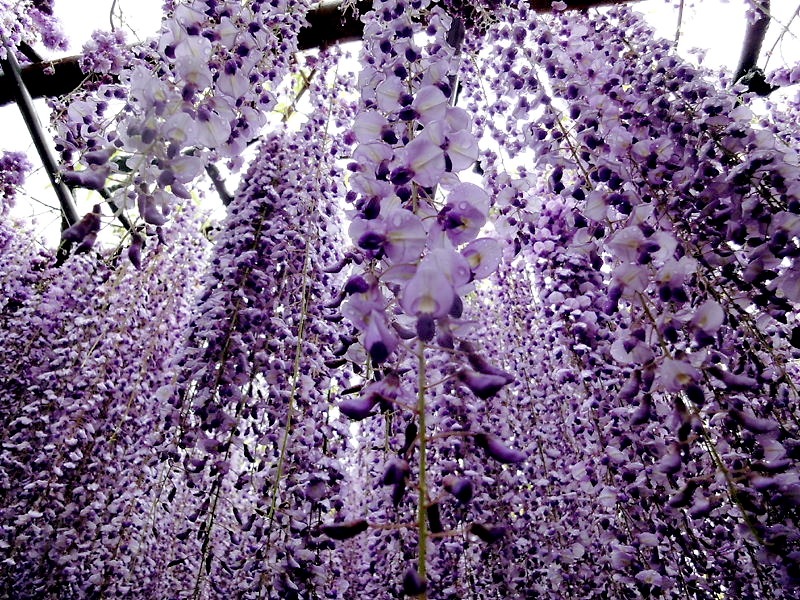 We’ll gaze upon nature’s ombre effect as white gives way to lavender gives way to violet. A magical place grown from the earth and kissed by the sun. 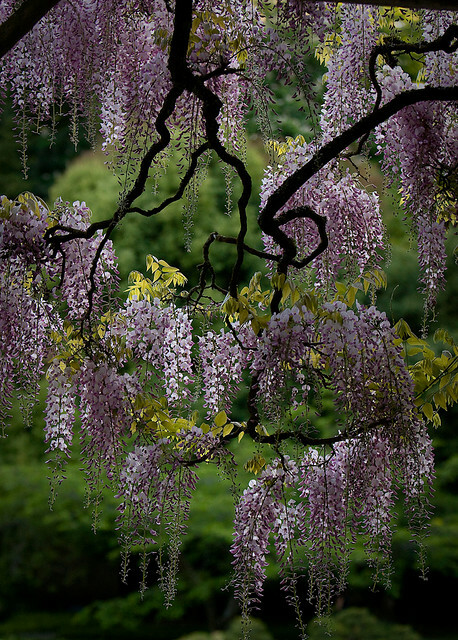 Let its flowy tendrils embrace you until we meet again next Friday. Oh my goodness, what an incredible looking garden. I can only imagine what it smells like to wander through those rows and rows of flowers. I’ve never seen anything quite like this place and I’ll surely be adding it to my bucket list. It took my breath away as well. I found a picture of it on Pinterest and had to share it. I too, will be adding it to my must see list! Glad you enjoyed it!